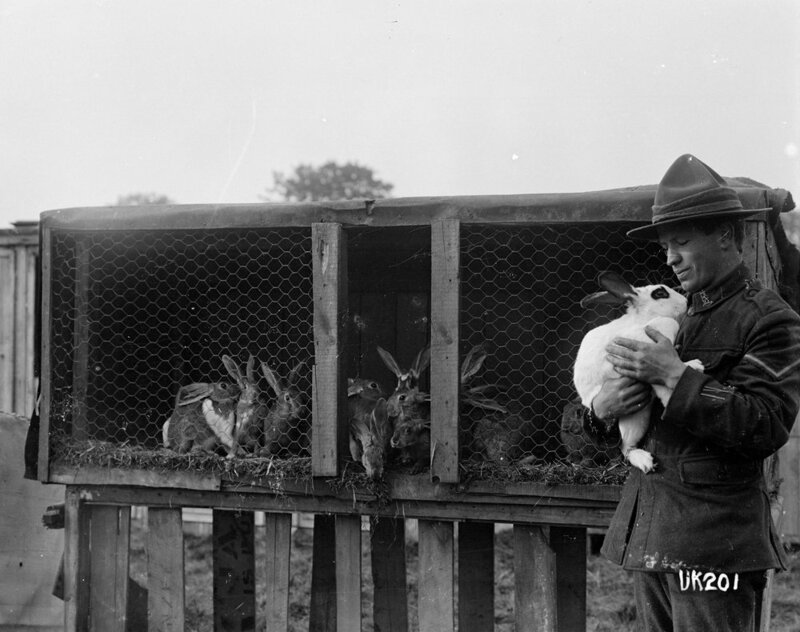 A soldier holding a rabbit in front of the rabbit hutch of the rabbitry at the New Zealand Convalescent Camp in Hornchurch, Essex, during World War I. A number of rabbits are in the hutch. Photograph taken by Thomas Frederick Scales.